is a Joy to Behold! Anyone who has ever watched a child jump for joy when a parent comes home knows intuitively that small children express their feelings with MOVEMENT as well as words. Movement, music and DANCE can be natural tools for learning. Influential child psychologists and educators like Piaget and Montessori agree that a planned developmental program in MOVEMENT should be part of every child’s education. Since early childhood education is the foundation for higher education, how a child “learns to learn” will have a lasting influence throughout his or her school years. 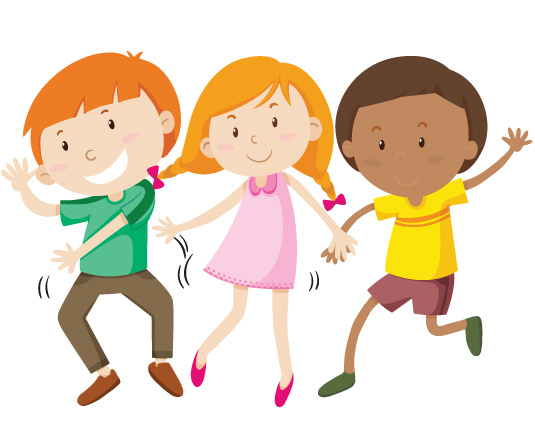 Kinderdance, where children “learn how to learn” when they learn how to DANCE and MOVE! In 1979, Carol Kay Harsell was busy running the American Academy of Dance, a successful dance school she founded in Scottsdale, Arizona. Harsell, who had great expectations for the school, was eager to expand her offerings and clientele. She looked to Bernard Friedman, businessman and entrepreneur, for ideas. After several months of hard work, Harsell and Friedman had more than tripled the size of the dance studio and raised the school’s enrollment to more than 600 students, but enrollment in the academy’s pre-school dance program, aptly named Kinderdance, was still low. While talking one afternoon, Friedman asked Harsell why she thought that participation was limited? Harsell replied that it was because many young children were in child care centers and preschools. Friedman thought a few minutes and said “then why don’t you bring the program to the children?” It was at that moment that the concept for Kinderdance International was born. The very next day, Harsell approached a local child care center and signed up six children for her Kinderdance program. Thirty days later, more than 60 children were enrolled. Sensing that they were on to something big, Friedman marketed the Kinderdance program to all of the child care centers in the greater Phoenix area. Six months after the original “on-site location”, the Kinderdance idea was off and running. Harsell and dance teachers from her studio were instructing classes in more than 30 child care centers around Phoenix, and were teaching in the Phoenix public school system. By 1981, Harsell and Friedman were thrilled with the success of the Kinderdance program. Clearly there was a demand for their innovative “on-site location” education through dance programs. Friedman and Harsell put their marketing and business experience to work, researching and developing an expansion plan for their new endeavor. Establishing Kinderdance as a franchise organization seemed like the obvious answer. Both knew that other motivated people like themselves could successfully market the Kinderdance programs to child care centers, preschools and other viable locations around the country. 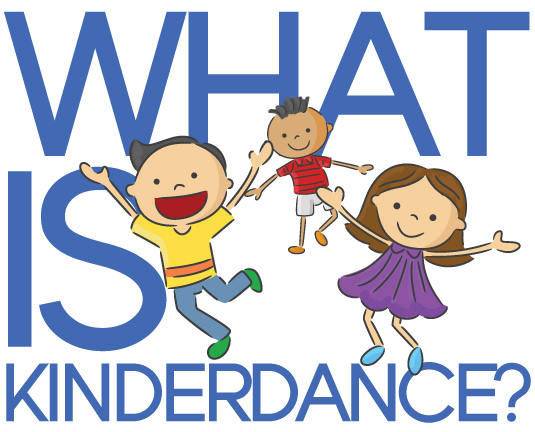 In late 1981, Kinderdance International was incorporated and in 1985, the first Kinderdance franchise was opened in Houston, Texas. Today there are over 100 Kinderdance franchises throughout the United States, and the world! Kinderdance was originally conceived and developed by Ms. Harsell, who started dancing at the age of 3 and has been involved with dance and early childhood education ever since. She always had three major loves: education, dance and business, which motivated her to attend and graduate from Dance Educators of America, New York City Teacher Training School. She also has a Bachelor of Arts degree in Psychology and Dance, and a Master of Arts degree in Physical Education with an emphasis in Adapted Physical Education and Dance. Ms. Harsell is a published author and has conducted research in early childhood education and communication through dance. She established the American Academy of Dance, Inc. in Scottsdale, Arizona. She has an extensive background in dance instruction, having taught people of all ages, levels and physical abilities in ballet, tap, acrobatics, jazz and creative movement. She has also conducted dance and movement therapy workshops at local, state, national, and international conferences and has worked as a consultant to many Universities, YMCAs, Private and Public School Systems, Hospitals, and for the National Committee on Arts for the Handicapped. As a performer she appeared with the New York City and New Jersey State Ballet Companies, and has performed and choreographed numerous solo and group concerts. She not only is a talented dancer/choreographer, but also won a scholarship for voice to the Master Works Chorus in New Jersey. Ms. Harsell has combined her talents in dance and voice to write original music and songs for the Kinderdance® programs. Since 1979 she has been solely devoted to developing curriculums and educating preschoolers through dance and training Kinderdance Teachers and Franchisees in the Kinderdance teaching methods and procedures which are successfully being taught to thousands of young children throughout the United States, and the World. BA. Psy., BA. Dance, MA. PHED. in Dancing and Children, Dancing-Study and Teaching, and Child Development. and Texas Woman’s University (College of Health, Physical Education, Recreation, and Dance).